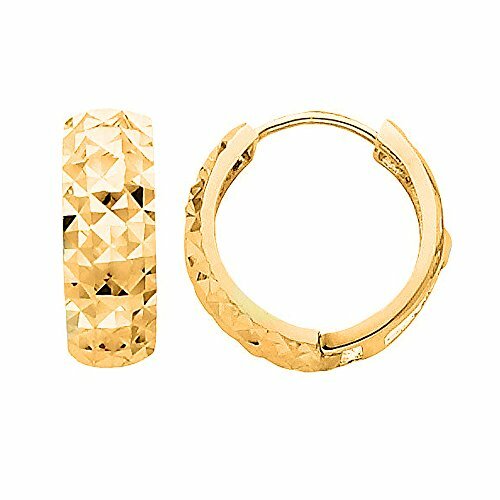 These very large Diamond cut Hinged Hoops Earrings are very wide as well. They are crafted in shimmering 14K yellow. The hoops are very wide with 15mm in diameter and 5mm wide. They are made with small square designs to better reflect the light around them and make a perfect first impression. The hoops are an important addition to everything else as they hinge on and off easily thanks to a push, pull clasp.